moonkitty.net: Does Naoko Takeuchi still draw Sailor Moon? Does Naoko Takeuchi still draw Sailor Moon? The Sailor Moon manga and all the related artbooks are long finished though the creator of Sailor Moon, Naoko Takeuchi does still draw the occasional picture of Sailor Moon, the most recent example being her recent Gundam / Sailor Moon picture at the Bandai Hobby Centre which she posted in her 2009 New Years Message. 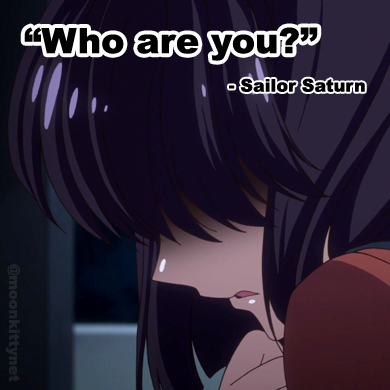 Before that she drew all new covers and interior art for the manga reprints and created the character design of Sailor Luna for Pretty Guardian Sailor Moon (the live action drama). No news on any major future Sailor Moon artworks from her let alone any more manga but if there is I will most definitely post it on Moonkitty.net. Thanks to Codename Sailor E for asking this question via Twitter. 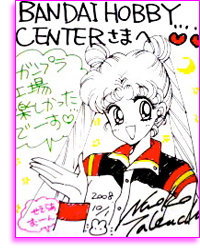 For Sailor Moon's 20th Anniversary, Naoko has begun drawing brand new images of Sailor Moon! 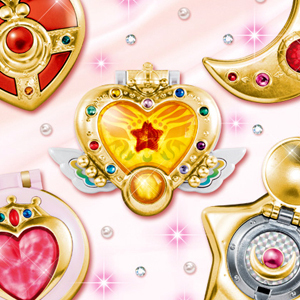 The first of which can be seen on the Official Sailor Moon Channel Web Site's Layout.